Contact us now to find out more about the newly-renovated Cottages and boat slips on China Lake. A boat slip is included with the purchase of the remaining one-bedroom cottages. 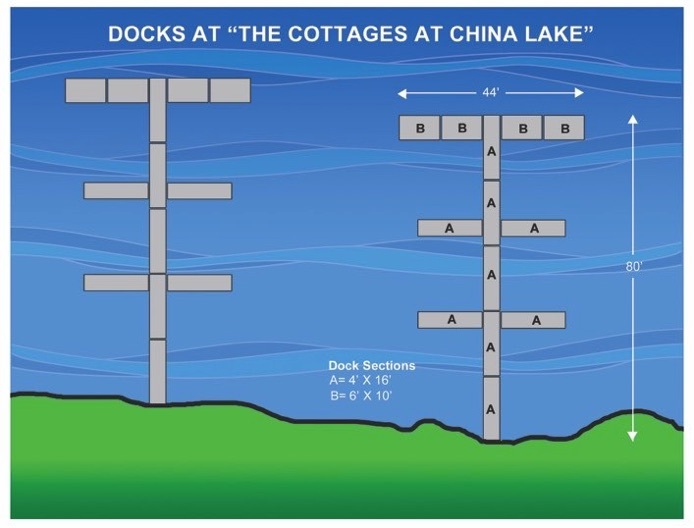 We received approval for two 80-foot docks, giving the option for a boat slip to everyone who buys a cottage. 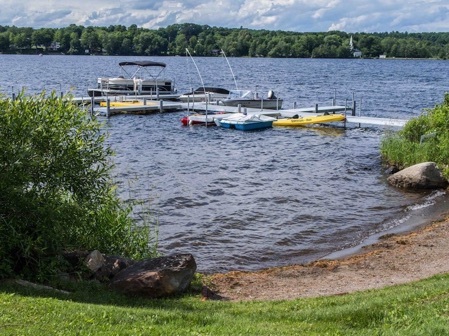 When you purchase your lake house, you will be adding your own boat slip to your vacation retreat. 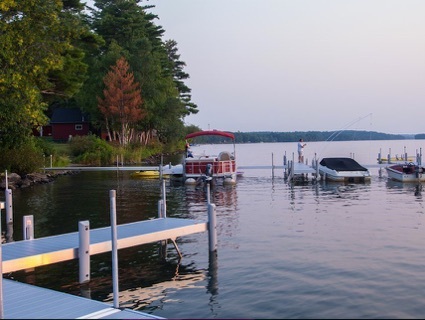 The docks and boat slips are made in Maine by the Great Northern Docks company. This is their premium dock for use in large bodies of water, perfect for China Lake, and can handle bigger recreational boats, as well as canoes and kayaks. 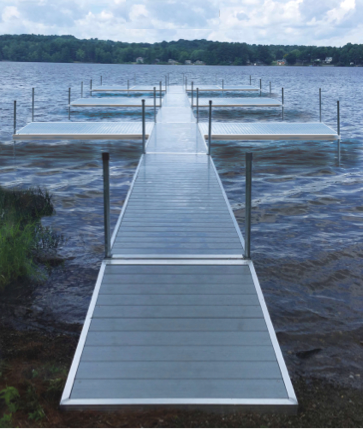 The docks and slips are made of DuraLite premium-grade aluminum with composite decking, designed to be low maintenance and strong. The decking has clean 6-inch sides, and a heavy duty anti-slip reveal on the top edges with aluminum frames. Both docks are 80-feet long and 4-feet wide. Eight 16-foot slips, good for boats up to 20 feet. Four 20-foot slips, for larger boats up to 25 feet. China Lake is a great boating lake with no restrictions. There is even a second basin that is accessed through narrows and is 90’ deep. With our new plans, you can kayak, canoe, or boat right from your own slip. Explore the 7 miles of pure Maine water. Share the lake with ducks, loons, and fish of all kinds. Click here for information on China Lake’s excellent bass fishing. 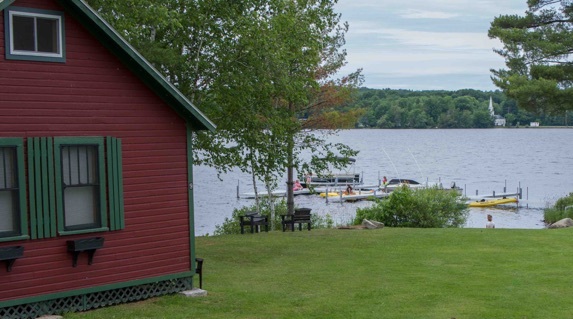 By having a boat slip with your new lakefront cottage, you will have a retreat where you can moor your boat throughout the season. Come to Maine. Relax. And enjoy the lake.